I’m so thrilled! The Socks for Centenary socks are finished! And they are awesome. Here they are being modeled by my lovely hubby. 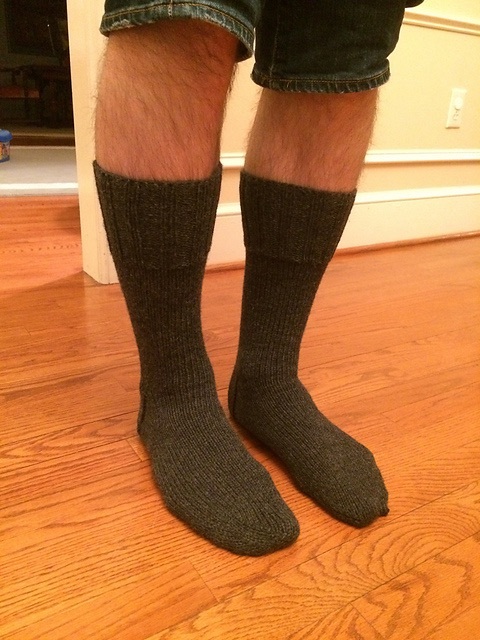 He liked them so much he’s asked for a pair of his own WWI socks! They must be good. Obviously knitters 100 years ago had a working knowledge of how socks are made as I found some of the language kinda hard to follow (Oh, you mean the gusset? OK, now I’m good). Still, after a couple of readings it made sense and I have to say, they did work out well. Just a little faith was all that was needed. Once on they felt so warm and cosy! 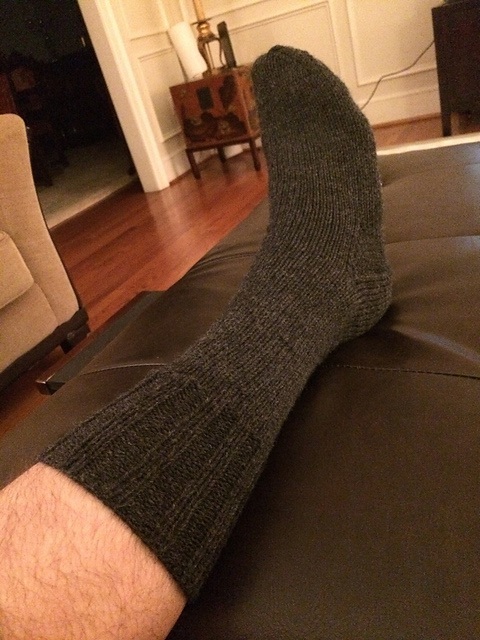 I can completely understand why soldiers at the front lines valued their homemade socks so much. They really are that fabulous. And I can certainly appreciate how vital they would have been when it came to keeping weary feet warm and dry. All in all, a really fabulous project that not only better connected me to my own family history, but also commemorated the amazing women left at home who supported their men so far away and will also help some modern day weary folk who are in need through the winter months. Just a whole bunch of awesome. Yay! Have you thought to knit some Socks for Centenary? I would love to see what you’ve done! Post a link to your project and let’s see ’em!